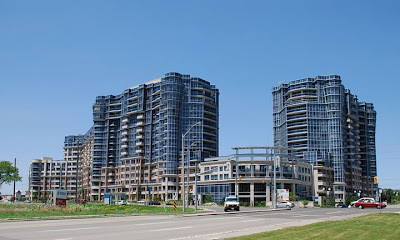 This week, let’s head a little north of the city for a look at Tridel’s Circa. With its first phase completed in late 2008 and second phase in occupancy earlier this year, the elegant architecture of Circa’s two towers can be admired at the northwest corner of Warden and Hwy 7 in Markham. 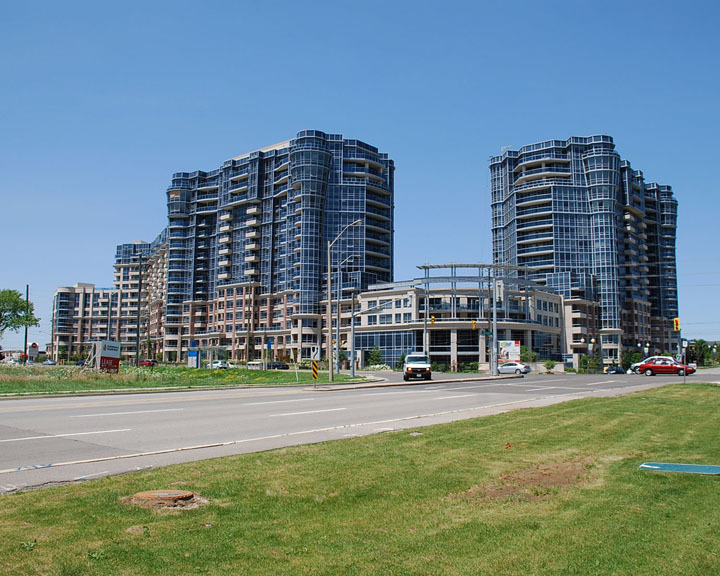 The development offers a wide range of suite types and sizes, and like most of Tridel’s condos, this building houses a variety of first-class amenities including a virtual reality golf centre. In the past 30 days, a total of three units have sold at Circa I with prices ranging from $273,800 for a 1-BR unit to $420,000 for a 2-BR suite of about 1,000 sq ft. Eight units were also leased over the past month from $1,350 for a 1-BR suite, $1,700 for a 2-BR+Den and $2,100 for a 3-BR+Den. If you’re wondering how property values have held up over the past couple years, a 2-BR+Den suite that sold in September 2008 resold earlier this year for $45,000 more than it did in 2008, while another 2-BR+Den unit that sold in September 2009 recently resold for $18,000 more than it did last year. For more information on Circa, please click here.